Jim Urling practices in the areas of personal injury and estate planning. Mr. Urling has advised thousands of clients on all aspects of tort law, premises liability, and construction law. 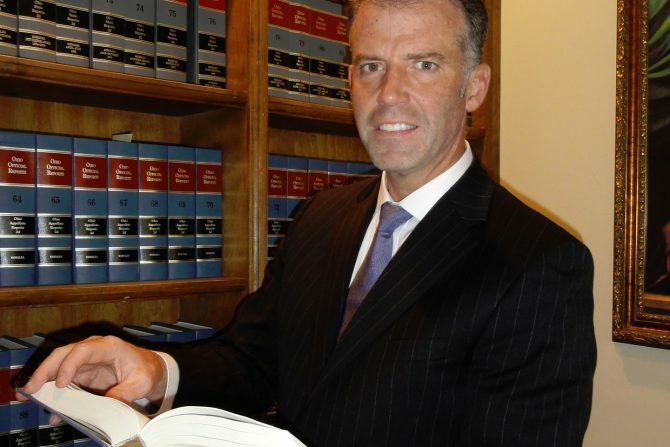 He has tried several personal injury and workers’ compensation cases in his eighteen years of practice. Mr. Urling’s experience includes cases tried in: Ohio Courts of Appeals: 1st and 12th Districts; Hamilton County, Clermont County, Brown County, Butler County, Franklin County Montgomery County, Warren County, Hamilton County Municipal Court and Hamilton Municipal Court. Mr. Urling is happily married with six children – three boys, three girls. He lives in Cincinnati and enjoys woodworking and carpentry. He is a fan of the Cincinnati Reds, Bengals, and, of course, the Ohio State Buckeyes.